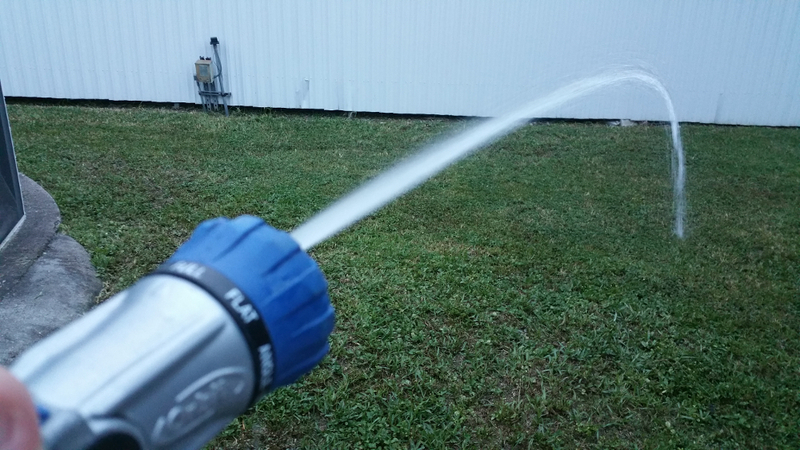 If you are looking for an excellent quality nozzle for your garden hose, look no further. 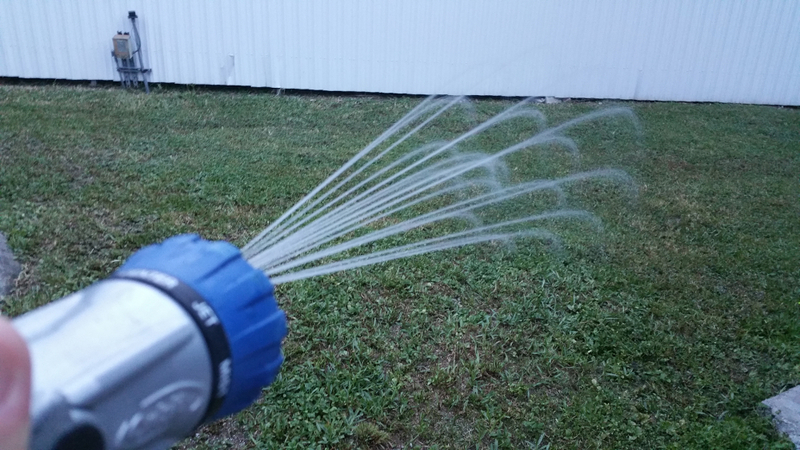 The Orbit Max 8-Pattern Nozzle is sure to tickle your fancy. 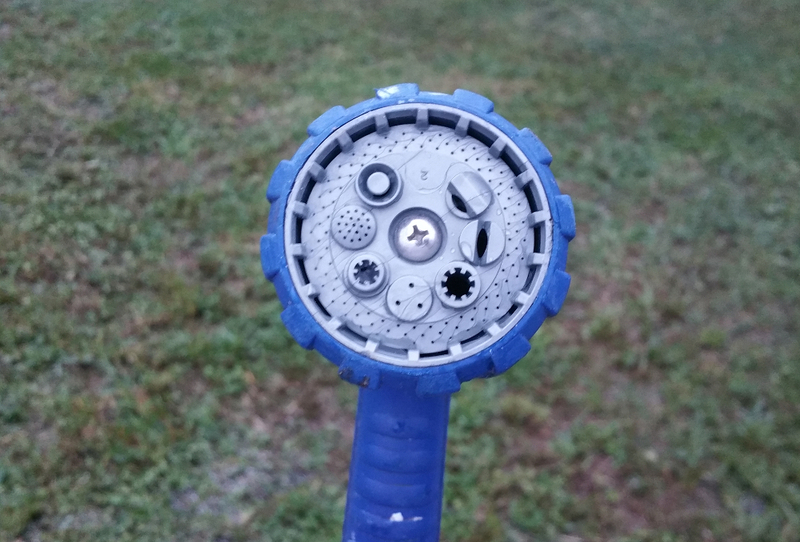 The Orbit Max garden hose nozzle has a solid uni-body construction with only two moving parts. 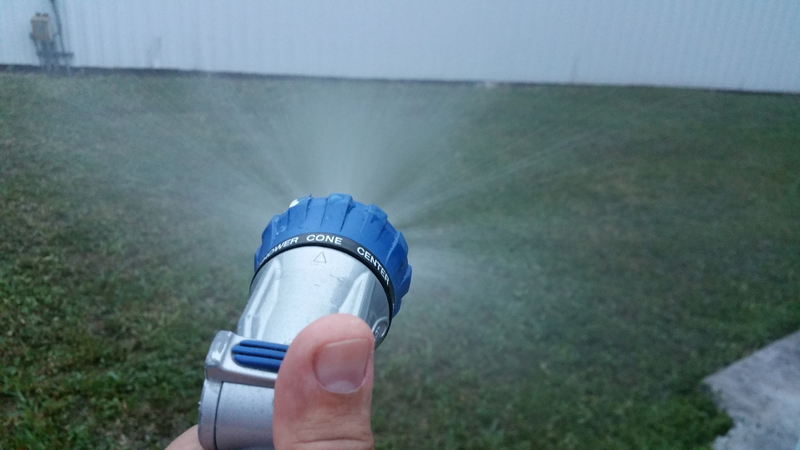 There really isnâ€™t much to go wrong with this nozzle. 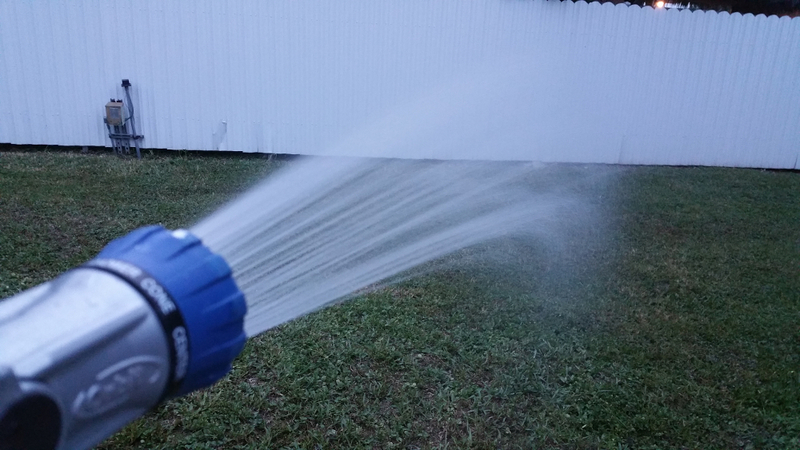 We have been using the Nozzle for over a year at a minimum once every weekend for gardening, cleaning the patio, and cleaning the pool pump primarily but this nozzle has withstood the test of time. 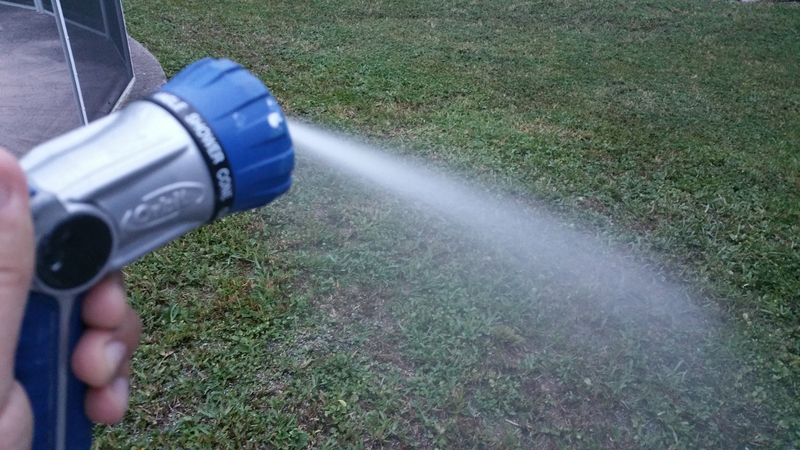 We liked it so much in fact, that we replaced all our nozzles with the Orbit Max. 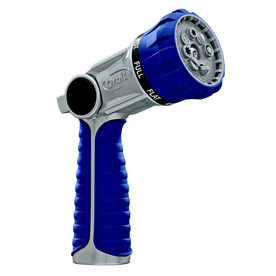 The Orbit Max has a smooth thumb-control lever that adjusts the on/off as well as the flow of water you need for the job. 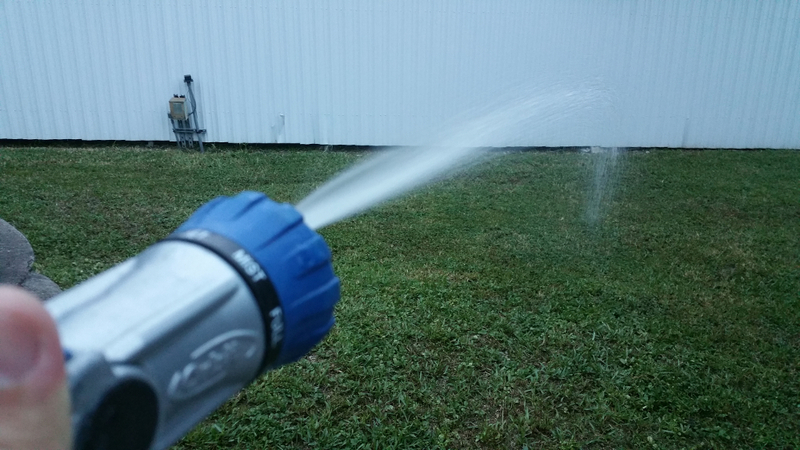 The nozzle is very comfortable to hold and operate for any size hand. 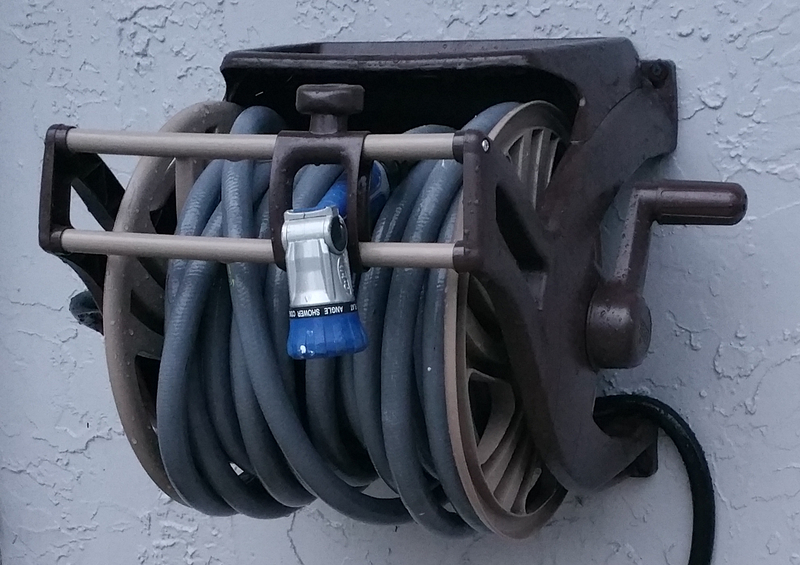 We love the different patterns and toughness of this product. 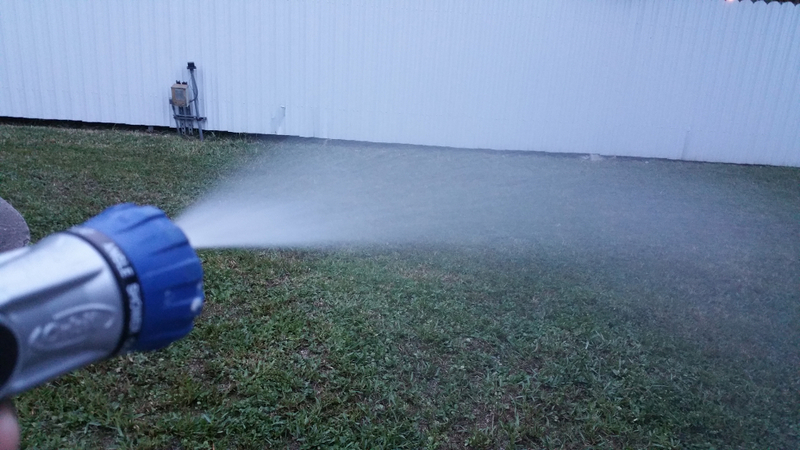 Although we wouldn't go throwing it around on purpose, the design allows for much punishment to the nozzle without affecting performance. 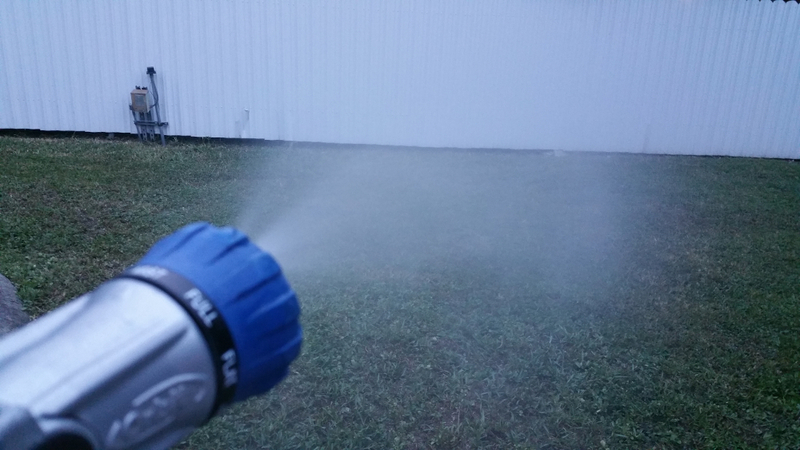 Below are a few pictures that illustrate the 8 different pattern sprays. 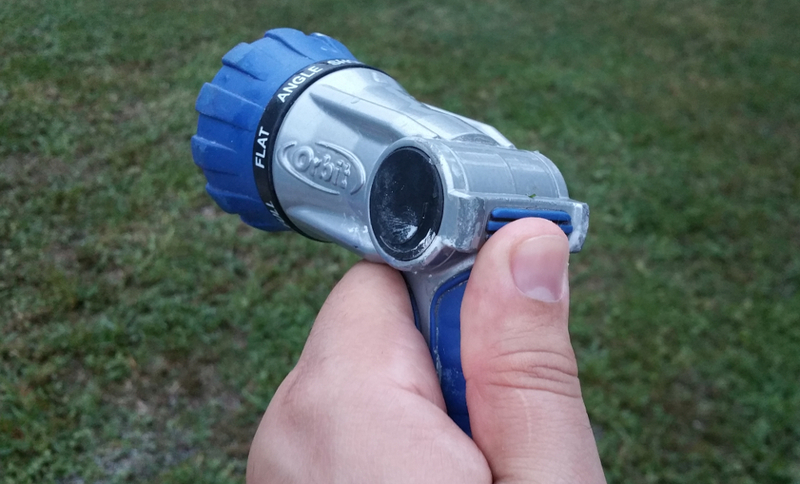 Get your very own Orbit Max Nozzle on Amazon .